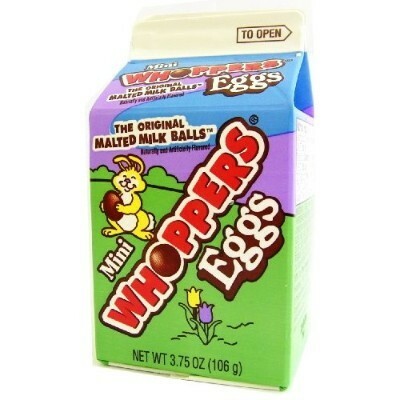 Hershey's Whoppers Mini Eggs are a tasty US treat to enjoy this Easter. They come in a convenient carton perfect for popping in your mouth. 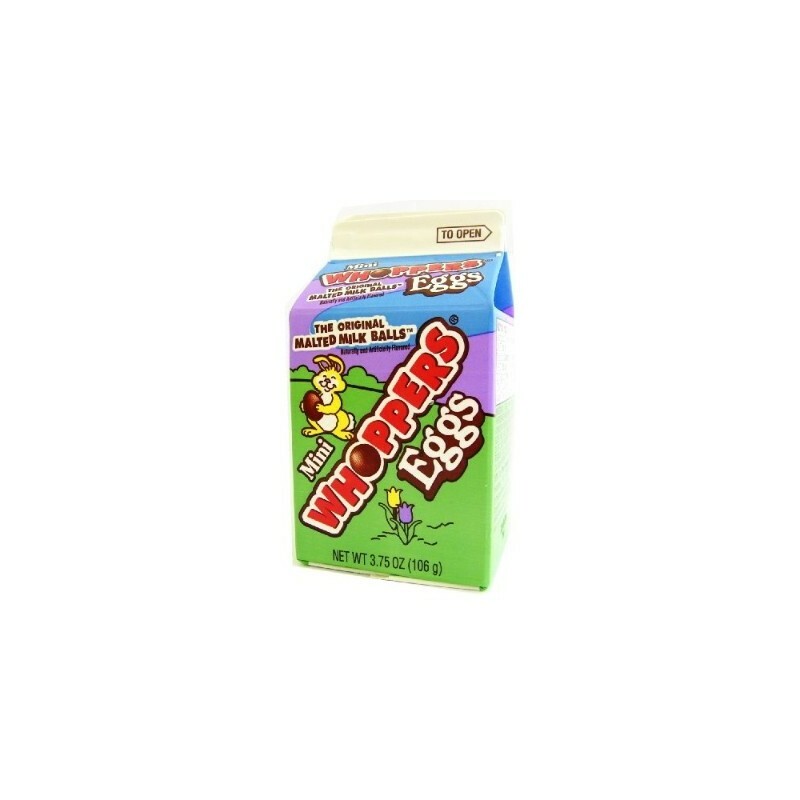 These mini eggs are just as scrumptious as the original Whoppers candy with satisfyingly sweet, malted milk covered in rich, decadently delicious milk chocolate. Each carton is filled with 3.75oz of this sweet goodness. Dextrose, sugar, corn syrup, partially hydrogenated palm kernel oil, whey (milk), cocoa malted milk (barley malt, wheat flour, milk, salt, acidity regulator E500ii), 2% or less of: tapioca, dextrin, colors E129*-E133-E102*), emulsifier E492, soy lecithin E322, salt, natural and artificial flavors, color or mineral E170, glazing agent E903. *May have an adverse effect on activity and attention in children. Contains GMO. Nutrition facts (for 100g): calories 700Kcal, total fat 12.2g (saturated fat 12.2g), total carbohydrate 85.4g (sugar 73.2g), protein 0g, salt 0.4g.